High powered blenders: Do you need one? I have a rather bad habit of collecting kitchen appliances. The last time we went to Italy, I bought a commercial meat slicer and named it Bernini. You know, after the famous Italian scupltor. You name it, I have it – smoking gun, deep fryer, waffle machine, ice cream maker, food processor, stand mixer. When this whole wellness craze hit and people started talking about superblenders, I wondered what all the fuss was about. Why would anyone pay $800 for an appliance whose only function is to pulverise stuff? Now that I own one of the Optimum blenders, I have to admit that I use it more often than my KitchenAid, and that’s saying something. If you’ve ever thought of getting one, you’re probably wondering if it’s worth shelling out almost double for one of these, or if it’s worth the upgrade from your current blender. 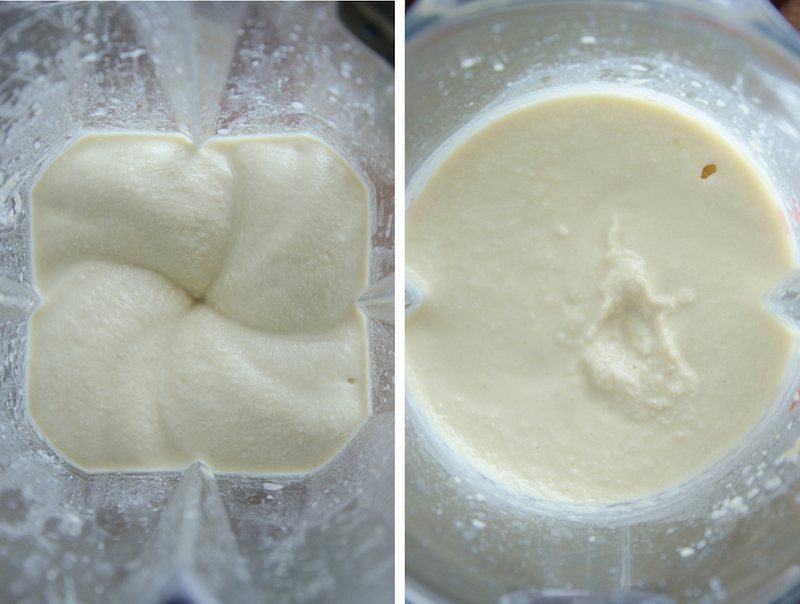 So was I, so I’ve run a couple of tests against a decent home blender to help you decide for yourself. I pitched my old Breville Kinetix against an Optimum 9200A and was pretty surprised with the results – the Breville held up quite well but there’s still a big gap between a good home blender and a basic high powered blender. Just a quick note that I’m not trying to put down the Breville. 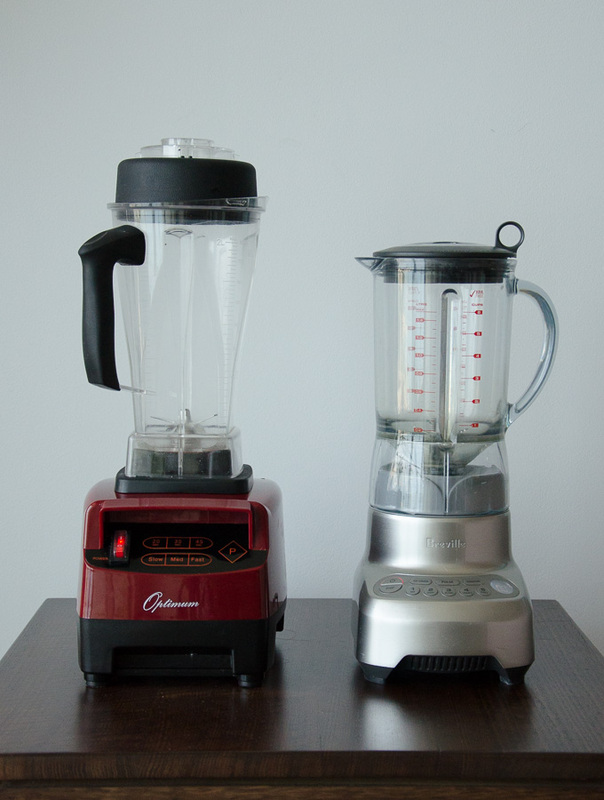 This is more fairly a comparison between a regular vs high powered blender rather than pitting one brand against another. On the off chance you were debating between a juicer and a blender, I am strongly in camp Blender. As a dietician friend explained it to me – if you can’t eat 4 oranges, you shouldn’t be drinking a glass of orange juice with 4 oranges worth of sugar. 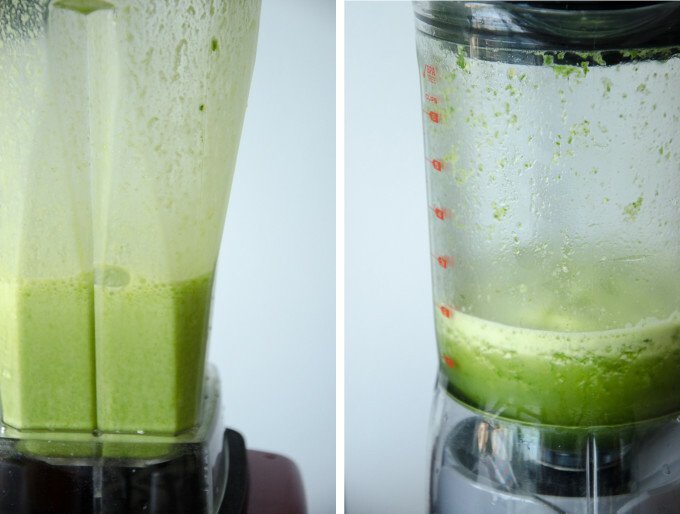 Blending is better for you, a lot less wasteful and allows you to make whole fruit and vegetable juices – pretty much like eating fruit and veg. What a blender isn’t going to do, no matter what the many dubious unverified articles on the internet tell you, is extract more nutrients out of food, detox your body, etc. What it is (probably) going to do is make it easier for you to get more fruit and vegetables into your daily diet. First up, the Breville Kinetix Control is $259.95 and the Optimum 9200A is $479 (the website advertises the RRP of the Optimum as $791 but it’s been discounted down every single time I’ve checked. I don’t agree with that kind of marketing, but there’s not much I can do about it). My favourite thing about the Optimum is that they give you a 30-day money back guarantee. If you don’t like it, or it doesn’t live up to your expectations you can return it and the company will cover the cost of return postage. I really liked it because that, to me is a demonstration of a company that’s confident about the quality of it’s product. The Breville has a one year replacement warranty and the Optimum has a 5-year warranty, extendable to 10 years for $110. They’re currently also running a promo for March where they’re offering a lifetime warranty on the product which I think is pretty awesome, but I am the kind of person that would pay extra knowing that the one appliance is meant to last me years. I’ve had my Breville for a few years now, without any issues, but it seems that they might have changed the manufacturer or something because there’s a lot of negative reviews recently. The Breville runs at 1200W and the 9200A at 2611W. Are you ready to rumble? Let’s get blending! 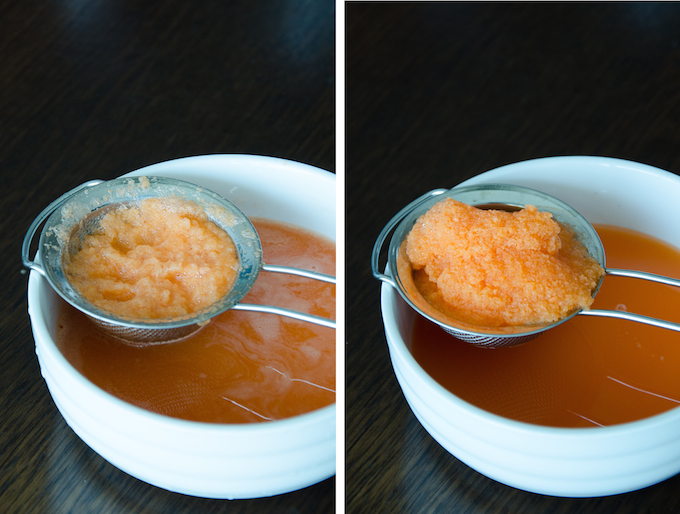 The Optimum did a much better job here – there was less resulting pulp was much softer and what was left was fine enough to be pushed through the sieve with a spoon. I did also chuck the same ingredients in my $30 Kmart bullet blender but all it did was trim the carrot into a perfect oval and leave me lots of orangey coloured water. 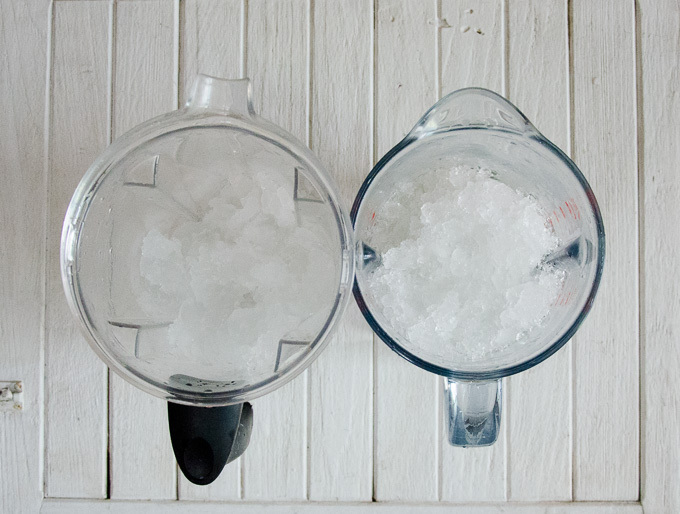 Left – Optimum, Right – Breville. This is much more greens than I would put in a regular smoothie but I wanted to be able to see if there was any significant difference between the two. As you can see the one on the right is thicker and looks more chunky. I thought I’d see if the Breville would be be better with small batches. You can see that the particles are finer on the walls of the Optimum. It’s also a bit lighter so I’m guessing it incorporates more air. I guess that’s a given when you’re using an appliance that cost twice as much and has twice as much power. 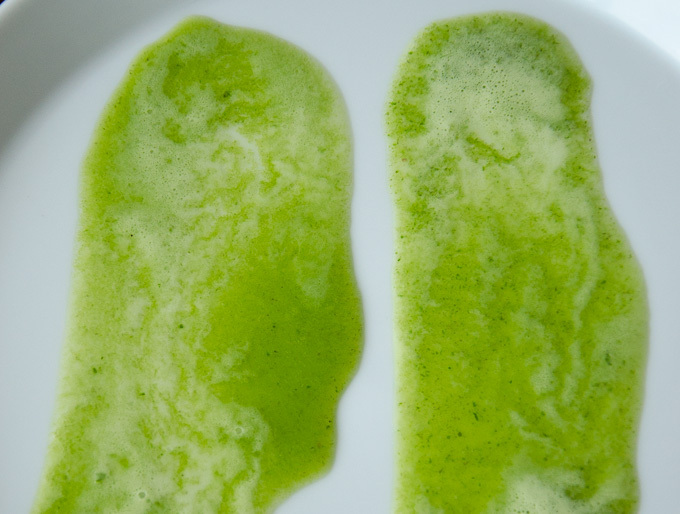 The juice from the Breville tasted fine – obviously not quite as smooth, but very passable. I dare say the green bits on the wall of the jug are just what was caught on the walls in the initial stages. So I figured, only fair to run the Breville for 30 seconds more to see what it could do. The results are much closer, perhaps a bit more green specks on the right but it’s negligible. So perhaps if you’re happy to run your blender with small amounts for twice as long, you’ll get reasonably smooth juices. I think perhaps I should’ve added some water to help things along, but I didn’t and so had to use the tamper that came with the Optimum to push the ice onto the blades. I stopped and mixed around the Breville a few times to even things up, but next time I might try with a bit of added water. Don’t know why I didn’t think to add water until after I looked at the photos. Surprisingly, the hummus in the Breville was a completely different consistency (I really didn’t expect that) but if you look closely it’s partly due to the fact that there’s a much bigger variance in particle size with the Breville. 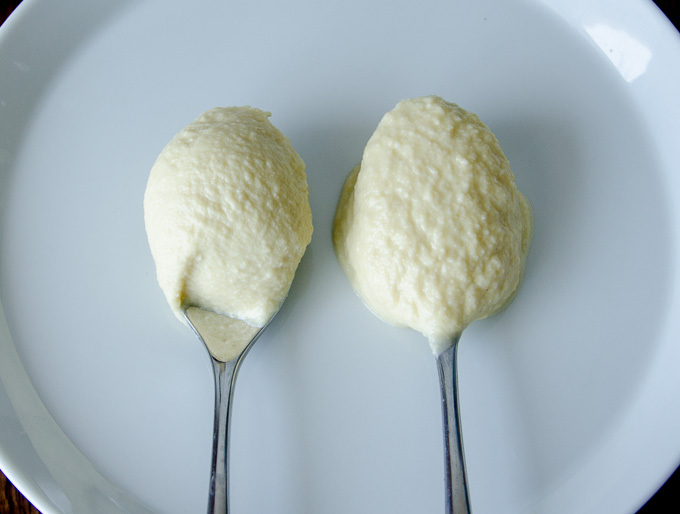 The resulting hummus was significantly creamier and fluffier and the difference in texture was very noticeable. I personally don’t mind a bit of a chunkier hummus so I would have no preference on this one either way – both good. Noticeably lighter in colour, slightly creamier and only marginally smoother from the Optimum. Very close in taste but there were small tomato seeds (you can see some on the spoon) in some mouthfuls. Visually, they look very similar but the resulting frozen yoghurt was much creamier from the Optimum but I’m guessing it had a lot to do with the supplied tamper tool that helps you push ingredients down towards the blade. 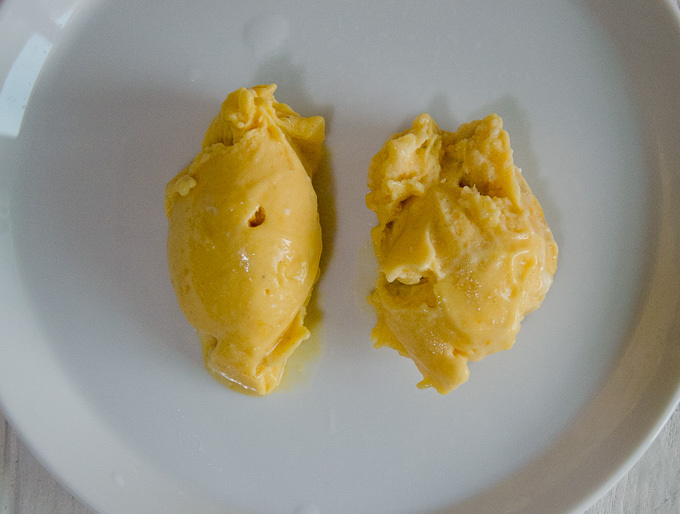 There were chunks in both batches, but in the Breville there were whole pieces of frozen mango. Again, as with the ice problem, I think this could’ve been fixed with the addition of a little water. The Breville Kinetix does a surprisingly good job given that it is half the power of the Optimum. The Breville is also slightly better at pulling ingredients down toward the bottom of the jug; for thicker mixtures the Optimum relies on the user using their tamper tool to help it along. The Optimum can move along the counter if there’s enough heavy stuff in it, and I’ve found the Breville much less likely to do that. In all honesty, the Breville does a decent job if you are prepared to blend less stuff for longer, it’s perfectly adequate. I would recommend doing a 400ml glass at a time and blending for approx 2 minutes to get really smooth juices. The Optimum on average, takes about 35 seconds and the truth is, now that I’ve had smoothies from the Optimum, it’s really hard to go back. They’re not at all pulpy and most are smooth enough to almost be juices. 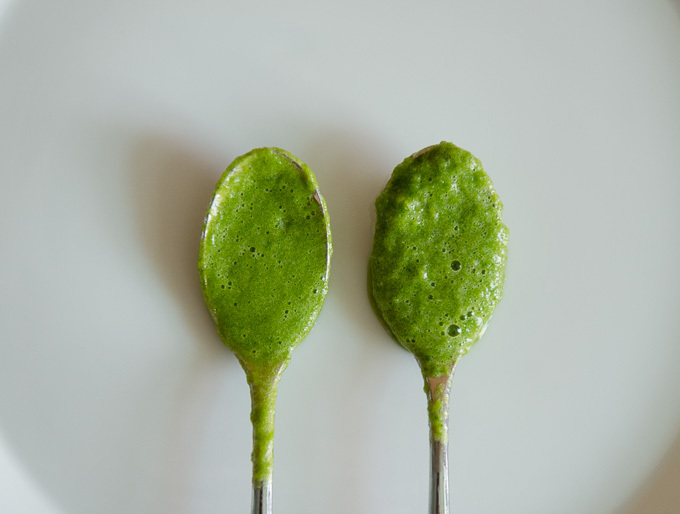 I’ve served one the to every visitor I’d had over the last month and everyone is surprised by how good green smoothies taste – a lot has to do with it not tasting like slightly pulpy blended salad, and texture plays a big part in that. Of course, it’s not going to turn fruit and veg into magical detox potions or extract vitamins from fruit and vegetables that you wouldn’t get by just eating fruit and veg itself. That said, I like being able to have a smoothie in the morning, especially in a country where healthy breakfast options are surprisingly difficult to come by. 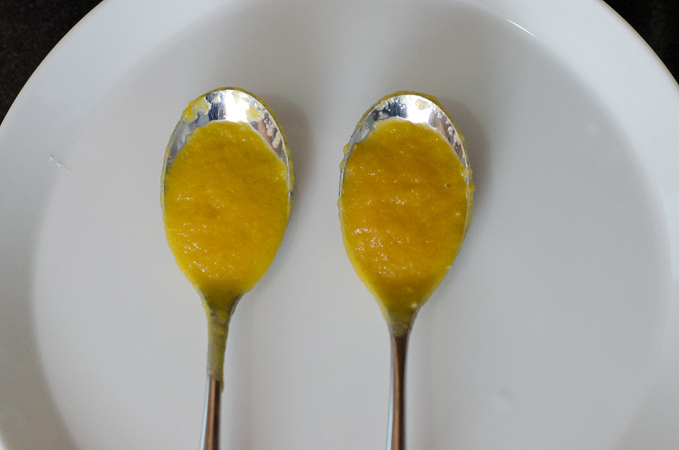 I love that it heats as well, check out my five minute mango curd recipe. The Optimum 9200A was sent to me by Froothie. My opinions are my own. If you’d like an Optimum to call your very own, using this link means that a small percentage helps me keep me blogging.